What makes this beer different: Very unique, lots of flavors and very earthy. Will I be drinking this again: Maybe! I didn’t expect much from this but it was pretty unique and tasty. 9/23/2010: I have only tried two O’Fallon beers in my lifetime, one of them is my favorite pumpkin beer ever, and the other tasted like a cherry tootsie roll gone wrong (Cherry Chocolate Beer). So who knows how this beer will end up. Regardless I appreciate that they were trying to be original by brewing a beer with hemp added. The nose is very earthy and spicy for an amber which is usually a bit more tame in the smell department. The flavor has tons of caramel hops, and what I would call a sharp earthy nuttiness. Its not a smooth transition from flavor to flavor but I kind of like it for some reason. Mouthfeel is a bit full for the style, but a good bit of carbonation softens the thickness a bit. 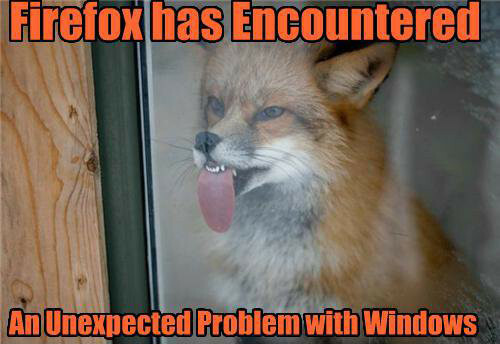 Picture of the day: Firefox has encountered a problem.